Myrtle Beach Real Estate News: Myrtle Beach Homes Sales Increase Pace. Myrtle Beach Homes Sales Increase Pace. Finally, there is some good news to hit the Myrtle Beach real estate market. As we know too well, the market in Myrtle Beach has been on a steep decline over the past 4 years, causing many homeowners to find themselves facing foreclosure. If you own a property where there has been a foreclosure in the neighborhood, then you are well aware as to how it effects your property's value. There are fewer Myrtle Beach foreclosures being listed on the market for sale. Price declines for homes in Myrtle Beach are slowing - meaning we are getting close to the bottom. Buyers have recognized the great values we have in Myrtle Beach, and therefore are starting to move forward with their purchase. Banks are cooperating with those needing to Short Sale their property. 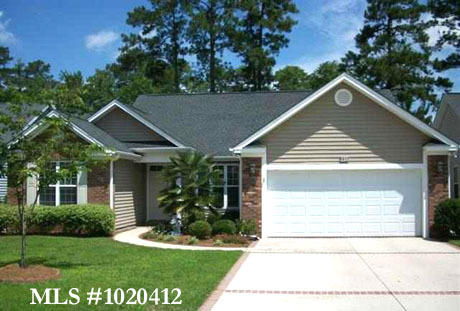 Myrtle Beach short sales are taking less time to process, which helps in decreasing foreclosures. Some of the Northern real estate markets are showing signs of recovery which makes it easier for those wanting to invest in Myrtle Beach real estate. It frees up their cash to invest in our area. I wish we could report that prices were on the rise, yet there is no evidence to support that statement. We do know that the first step to market recovery is through increased buyer activity. We will keep a close eye on the market over the next few months to see if this trend continues throughout the holiday season and the new year. If you are thinking of buying a home in Myrtle Beach, you may want to act quickly before the quality properties are all gone. If you are thinking of selling, this may be the time to get the home sold and move on with your plans. Why Buy Myrtle Beach Real Estate today? How Much Did My Neighbor's House Sell For?